Networking is an essential aspect of building relationships. Networking along with research and education are the pillars that make up the South African Council of Shopping Centres (SACSC). Next month, November 9th, 2017, the SACSC will host its annual Gauteng Chapter Networking event which will take place at the Vista @ Wanderers Club, Illovo from 2.30pm sponsored by Remote Metering Solutions. 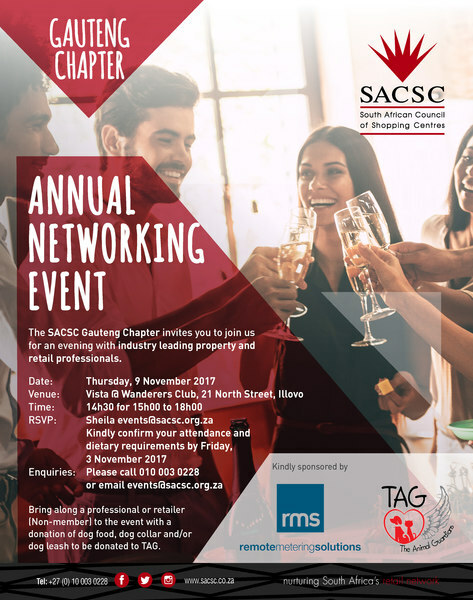 These annual networking events hosted by the SACSC take place in Cape Town, Durban and Johannesburg and are attended by retail, property and industry representatives who make up SASCSC’s membership database. SACSC Gauteng Chapter Chairman Laetitia Zillen said that she looked forward to hosting industry professionals at networking event. “This is our final event for the year, and we want to celebrate with everyone. This year came with its challenges but together we were able to rise above it and celebrate. I’m sure 2018 will be no different. Please join us for our final event where you can interact with your industry peers or just relax and wind down as the year draws to an end,” she said. Lisha du Preez from Remote Metering Solutions said that her company was proud to be associated with the SACSC. “We are proud to partner with the South African Council of Shopping Centres to bring you the Gauteng Chapter Networking Breakfast and we look forward to sharing what we do with those in attendance,” she said. 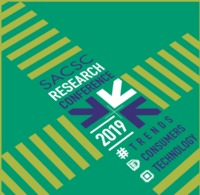 For more information about similar events or about the South African Council of Shopping Centres (SACSC), please visit www.sacsc.co.za or call +27 (0) 10 003 0228.